I was eating a Peek Freans cookie the other day (and I instagrammed an iPhone picture of it for two different prompts: “snack” and “half”) and it reminded me so much of this portrait of Deklan. I knew I had to share it here today. It was a sunny day in February of 2011. Mister and I took the boys to the park to enjoy the weather, and so that I could try to take some portraits. Easton was his usual serious self, and Deklan wanted nothing to do with slowing down long enough for me to photograph him. As I’ve often done with my darling Duders, I resorted to bribery. Think what you must of me and my parenting practices, but I’m not above bribery in certain circumstances – especially when it comes to having the boys be cool in front of the camera. 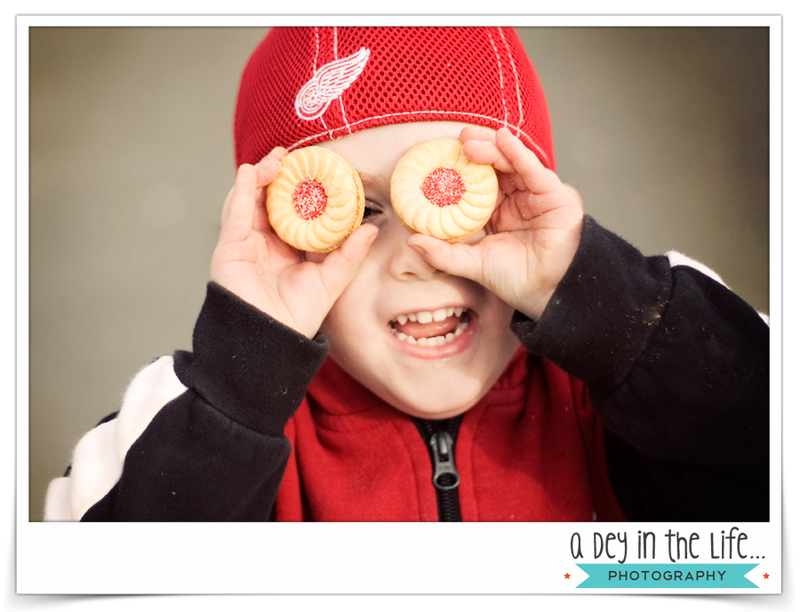 On this particular day, good ol’ Peek Freans cookies were the bribery material of choice, and I couldn’t have been happier with the results (Dek was happy too… I let him eat them both as soon as I knew I had what I set out to capture)! And because I mentioned it, in case you’re interested, here’s the one from Instagram the other day. Do you bribe your kids? What do you bribe them to do, and what’s your favorite bribe?